In August 2017 The Klosters Forum brought together a hand picked cohort of expert practitioners and funders to give time and space for innovation in Refugee Education. 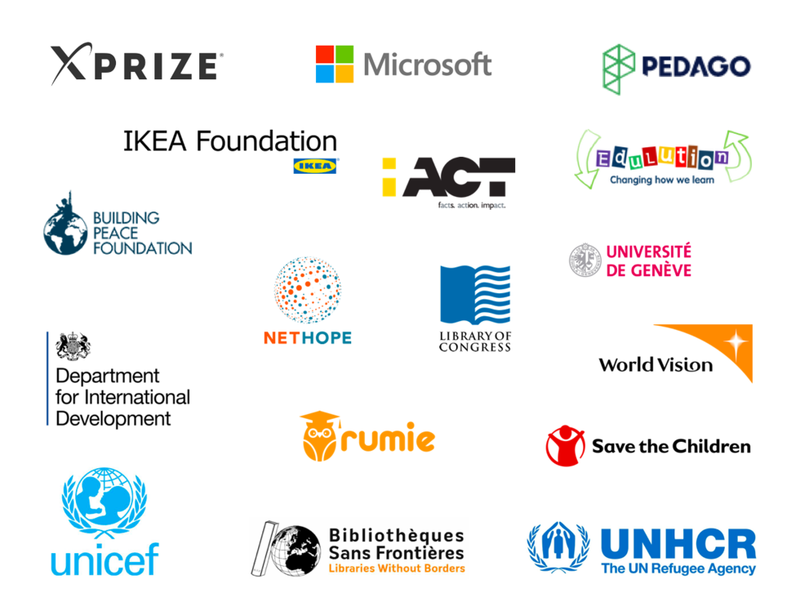 Participating organisations included: Microsoft, IKEA, UNHCR, UNICEF, Save The Children, DfID, the University of Geneva, SNHU, Arizona State University, iAct, NetHope, World Vision, Refugee Trauma Initiative, Rumie, Libraries without Borders, and many more. Following TKF 2017, iACT and Refugee Trauma Initiative started to explore the potential co-implementation of Little Ripples, a comprehensive preschool programme for refugees in Greece. They are currently seeking funding to start this partnership. The No Lost Generation (NLG) Tech Task Force hosted the NLG Silicon Valley Symposium at Microsoft in San Francisco that brought together 50+ representatives from private and humanitarian sector including organisations that attended TKF 2017 - Microsoft, Arizona State University, UNICEF, World Vision and IRC. As result of the working session at the Symposium, several organisations are working on multiple project-based cross-sector collaborations to address four challenges that displaced youth and adolescents face. Kiwix and Bibliothèques Sans Frontières (Libraries Without Borders) have started a collaboration with Internet-in-a-box working on defining standards for offline software platforms. Learning Equality have collaborated with UNHCR on a project supported by Google.org to deliver digital learning in contexts serving refugee students in Jordan, Uganda, Kenya and Tanzania (secondary level with focus on life skills and STEM). A proposed project between Microsoft, Relief International and the Building Peace Foundation to build innovation labs using technology developed by Microsoft that can hugely improve the access to education in the camps. The partnership is currently seeking funding.